The beautiful Academy Award-winning actress Lupita Nyong’o has optioned the film rights to Chimamanda Ngozi Adichie’s novel Americanah. Earlier this year,Chimamanda hinted about something big she was working on with Nyong’o but didn’t divulge any of the details. In an interview with Arise TV, Adichie said Nyong’o read the novel, loved it and that she would be making an announcement soon. That announcement was officially made by Adichie at Stylist magazine’s Stylist Book Club that was held Thursday in the United Kingdom. Americanah is a love story that centers on a young man and woman from Nigeria who face difficult choices and challenges in the countries they come to call home. The book was selected as one of the 10 Best Books of 2013 by the editors of the New York Times Book Review and it won the 2013 National Book Critics Circle Award (Fiction). 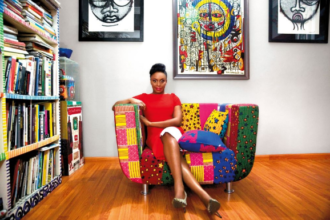 Americanah will be Adichie’s second book adapted for the silver screen. Currently, Adichie’s Half of a Yellow Sun is playing in theaters and stars Chiwetel Ejiofor and Thandie Newton.